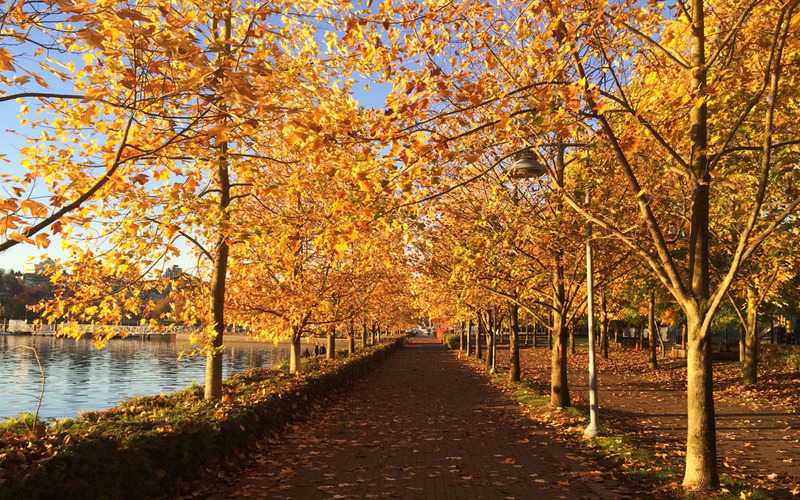 It’s autumn in Vancouver, and the weather is most certainly showing it! If it’s not raining the days are clear and crisp, the sun is bright, the temperature mild (although dropping further everyday), and the autumn foliage glistens with shades of red, orange, and yellow. While relentless rainfall is Vancouver’s standard weather forecast for the four months from October to January, Vancouver does experience some pretty spectacular (all be them limited) dry, sun drenched days. Never knowing how long a dry spell will last, one really does have to make the most of the good weather. Therefore, when the rain eventually subsides, I always make an effort to head outdoors and take a stroll along The Seawall. Fortunately for Nick and I, living in Vancouver’s downtown neighbourhood of Yaletown, we are only moments away from The Seawall’s 22 kilometre waterfront stretch. So as you can see, there is absolutely no excuse not to get out and lap up the city’s blissfully fine autumn days. Living so close to The Seawall has meant that I have become quite familiar with it. 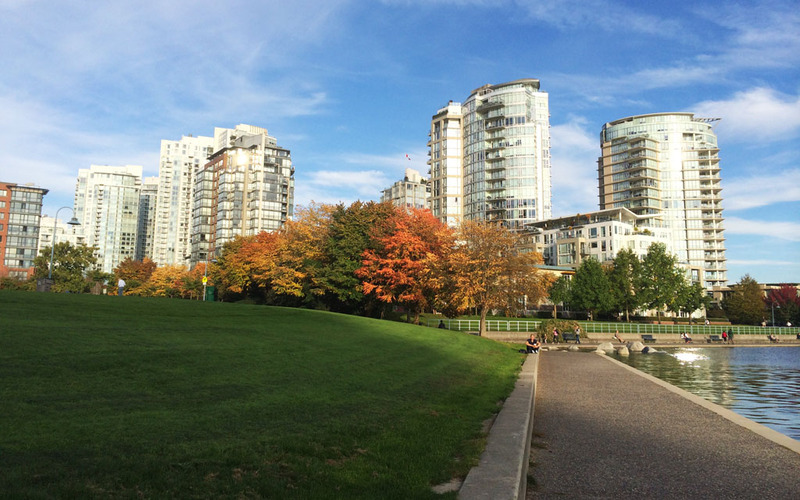 During the summer months I walked along the Yaletown to English Bay Beach section a number of times a week, yet now that there is a change of season upon us the autumn foliage makes it feel as though I’m stepping out on to a completely different trail. Seriously, what a difference a few months make. Trees that were once abloom with gorgeous greens are now ablaze with vibrant reds, golds, and oranges. Whilst most trees glow with these vivid ‘fall’ colours, others stand with hardly any leaves at all, a sure sign that winter is on the way. It’s not just The Seawall that showcases the magnificent colours of the changing season, but also Vancouver’s urban parks — none more so than the city’s beloved Stanley Park. With woodlands, gardens, and towering trees, Stanley Park offers a phenomenal display of light and colour during October and early November. 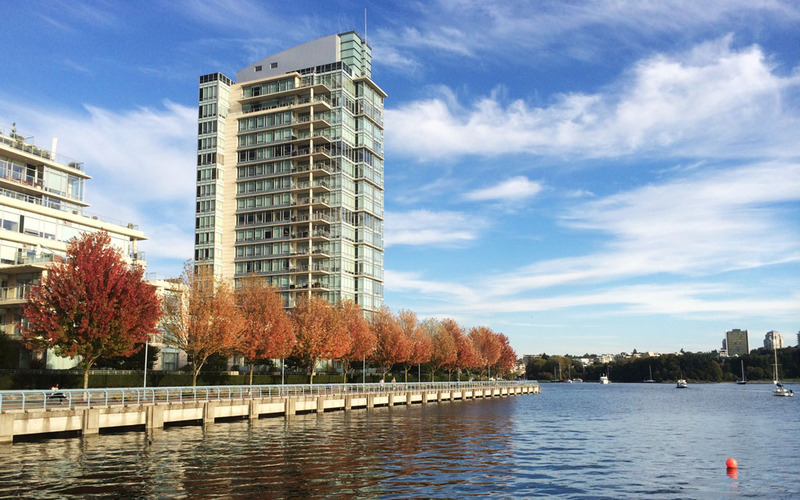 Vancouver has an array of fantastic spots for taking in the changing colours, therefore if you’re visiting the city in the autumn make sure this seasonal treat is on your list of things to see and experience! Also, be sure to pack a good pair of walking shoes and of course your camera.